Potential home buyers base first impressions of a home from its curb appeal. 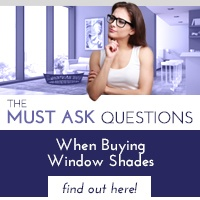 Landscaping, paint colors, and doors help boost curb appeal, but there is one area often overlooked - the windows. Find out how to update your home's windows and improve the look of your home with the tips below. Stand back and check the trim around your windows. If the paint is chipping, it can make the windows look neglected. Scraping the old paint and giving the trim a fresh coat can quickly brighten up the look of your home. Your personal style may be eclectic, but most buyers prefer a simple, cohesive color scheme when pulling up to a new home. Make your home look classic and streamlined by coordinating the colors of your front door, window trim, and window treatments. While the house itself should have a simple color scheme, there are places to add cheery pops of brighter colors. Window boxes are a great way to incorporate color in a charming and natural way. Flowers by your windows will make the home feel more comfortable and welcoming. Do you have a beautiful view from your windows? Show them off! Choose window treatments that will allowing visitors to appreciate the view without being distracted. In more high traffic areas, be sure to use window treatments that show how the house can feel more closed off and private when necessary. As people come in and out of the house, they'll be looking at all of the details. Be sure your windows are sparkling clean and the window treatments are dusted, to show your home in its best light. 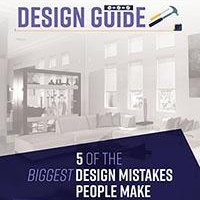 While there are many things you can do to make your home look great, many buyers will want to go beyond appearance and find out what makes the home a good investment. One way to stand out is by choosing window treatments that make your home more energy efficient. This helps potential buyers know they can save money on monthly bills while living comfortably. 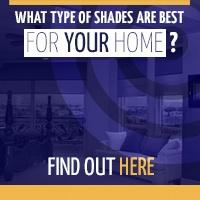 When preparing to sell your home, be sure you're creating the best impression for visitors. Using new window treatments can improve the look of the home, as well as increasing efficiency and showing off all the best features. Are you ready to improve your home's curb appeal? 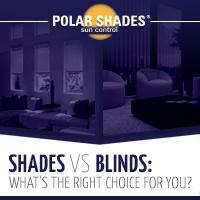 Download our free Shades vs. Blinds Guide to get started.